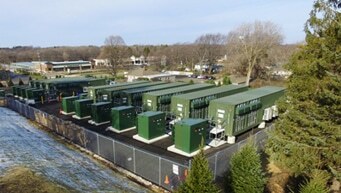 EDF Renewables has now developed two energy storage sites: the Toucan solar plant in French Guiana (5 MWp) and the McHenry project in the United States (20 MW power, 40 MW dynamic capacity), an innovative storage system combining an energy storage battery and a computerized control system. These two projects mark a step forward in the development of new renewable energy applications. To develop these innovative projects, EDF Renewables builds on the expertise of its dedicated EDF Store & Forecast subsidiary, which was set up in 2014 and has developed a smart software solution to coordinate generation from renewable sources via forecasting and energy storage. 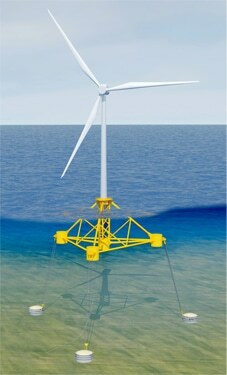 Offshore floating wind is a promising new solution with the potential to expand the scope of offshore wind turbines. For several years, EDF Renewables has been supporting the development of this technology through the Provence Grand Large project, a pilot wind farm in the Mediterranean. The project won the Call for Projects issued by ADEME (France’s Agency for Environment and Energy Management) for the development of offshore floating wind projects. Provence Grand Large, a pilot project made up of three wind turbines, is designed to demonstrate the technical and economic feasibility of the innovative technology.